Upcoming movies in 2018 - Org This! There are a ton of sequels, remakes, and even reboots coming out within the next year. This article (and maybe even the next one, too) are going to be about these movies and my commentary so far. First up on the list is actually two movies coming out this year, that I just wanted to mention really quick. 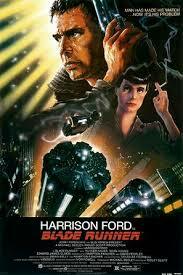 Next friday the new Blade Runner movie is coming out, and I’m super pumped to see it. In fact, this is one of the few movies that I won’t spoil by looking up the plot the night it comes out. I loved the original, and I’m pretty sure I still have the director’s cut on VHS. If I don’t, then I gave it to my friend who moved to Vegas. There’s no way I’m getting it back now. He told me the reason that they moved there is because his dad own a short-term rental permit business, and they were making way more money down there. After that is the new star wars, which I’m not super excited about. I loved star wars as a little kid and I still like watching the movies, but this new one just feels uninspired and bland. The majority of the movie is going to focus on one character’s training, which isn’t exciting to watch. I hate origin stories. The first movie that I want to see coming out next year is called The Commuter, which is another one of those Liam Neeson action movies kinda like Taken and Nonstop. It might not be good, but even though his movies are becoming kinda cliche they always have some kind of variation on the typical action movie tropes. After that is God Particle, which is going to be a space horror movie about a stranded team of astronauts. The earth vanished after some kind of particle accelerator accident, and then a space shuttle approaches and they have to deal with whatever danger is onboard. It sounds super similar to Alien and Life, but it’s actually the third installment in the Cloverfield franchise so maybe it’ll be good? I’m going to see it either way. Last but not least (for this article, at least) is Pacific Rim: Uprising. 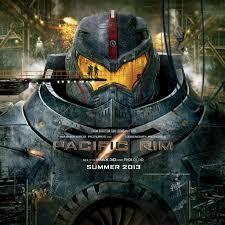 For those of you who haven’t seen it, Pacific Rim is a 2013 action movie where the earth is being attacked by giant monster so humanity engineered giant robots to fight back. The catch is, these robots are piloted by two people. These story is just about the fight to destroy all the monsters and the portal that they’re coming out of, which happens to be located in the Pacific Rim. I liked the movie overall, mostly because the large-scale action scenes were pretty great to a 13 year old.